No, this does not have much to do with Oracle’s recent quarter. Nor is it about intrigue and gossip so many analysts use to compare Oracle to the Trumpian White House. It has more to do with two decades of enterprise tech I have researched as I write SAP Nation 3.0. It is striking how many times I have seen opportunities Oracle could have taken advantage of. As I wrote in Who will claim the Enterprise “Western Frontier” most enterprise vendors, not just Oracle, missed out on several trillion dollar markets that have emerged since 2000 and have made Google, Foxconn, GE, Amazon and others sizable technology players. But even within its peer group, Oracle has missed out on several opportunities. It took way too long to deliver Fusion. Even then, it could have stalled growth at Workday, Salesforce, Adobe and other cloud vendors. It could have delivered a knockout punch to SAP starting around 2010 with its early start with Fusion and its many cloud acquisitions. It could have taken several of its vertical industry capabilities to the cloud and gone after SAP in those markets. It did not and SAP with S/4 and its own cloud acquisitions has weathered the storm. With its IaaS, Oracle could have navigated around Amazon, Microsoft Azure, Google and mopped up the hosting market around its EBS, PeopleSoft. J.D. Edwards and Siebel customer bases. Not particularly exciting, but a relatively captive 25,000 + customers is nothing to sneeze about. While it finally has rolled out its SOAR cloud migration offering, Oracle could have done that years ago and would have been well on its way to migrating the 4 customer bases above to the cloud. It has chosen to go after third party maintenance vendors like Rimini via the legal route, when it could have listened to its customers who wanted support for customizations and more responsive ticket support even more than cost savings. Oracle likes to emphasize the trust and security angles but that is only one criterion in a multi-dimensional decision. It also uses the security angle in its IaaS pitch, but often loses on capex scale and continuous improvement track record. Its autonomous database pitch has been diffused because it is only available on its IaaS (it says it needs that to be able to deliver to the high availability SLA) and not (yet) to its much bigger on-prem database market. 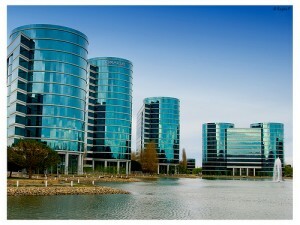 With more of a focus on customer value from its technology, I am convinced Oracle could easily be twice its size. Instead it has way too many customers who are wary about its commercial practices and only grudgingly bring it into new opportunities. Actually looking at two decades of Oracle’s meandering I am tempted to write Oracle Nation. Maybe some day I will write that. For now SAP’s continuing turnaround makes for a much more compelling story.